Patrick de Laive, co-founder, The Next Web. There was a point during my chat with The Next Web co-founder Patrick de Laive when he, well, digressed a little from the subject we were talking about then, and told me instead of an “amazing” moment at his company’s headquarters in Amsterdam, when a few members of his team sort of banded together out of their own accord and put together a live music jam session in the office. As de Laive told the story, it was hard not to be taken in by his obvious glee at what had happened at his workplace, something that he had played a part in building: his eyes were shining, and his passion for his enterprise was infectious- this was de Laive exulting in his element as an entrepreneur. I could thus imagine the enthusiasm with which de Laive and co-founder Boris Veldhuijzen van Zanten established The Next Web in 2006, which started out not as the namesake tech news website most of us associate the brand with today, but as a startup-centric conference in Amsterdam. Events in the realm of The Next Web Conference are aplenty today, but at the time, it was breaking new ground. Interestingly enough, the conference came to be because de Laive and van Zanten, who had a tech startup of their own then, were looking for an event to showcase at and having found their options then to be lacking, then put together their own summit in Amsterdam. The event proved to be a hit, and it continues to run on a yearly cycle today, with it having a presence now not just in Amsterdam, but in New York as well. The media arm of the enterprise came later, with TheNextWeb.com today being one of the Web’s most popular resources for news and insights relating to the tech world. But that’s not all- The Next Web enterprise today boasts of another division called index.co, which provides market intelligence on tech companies around the world, as well as TQ, which is set to be an Amsterdam-based tech hub for startups and entrepreneurs. A scene from an earlier edition of The Next Web Conference. 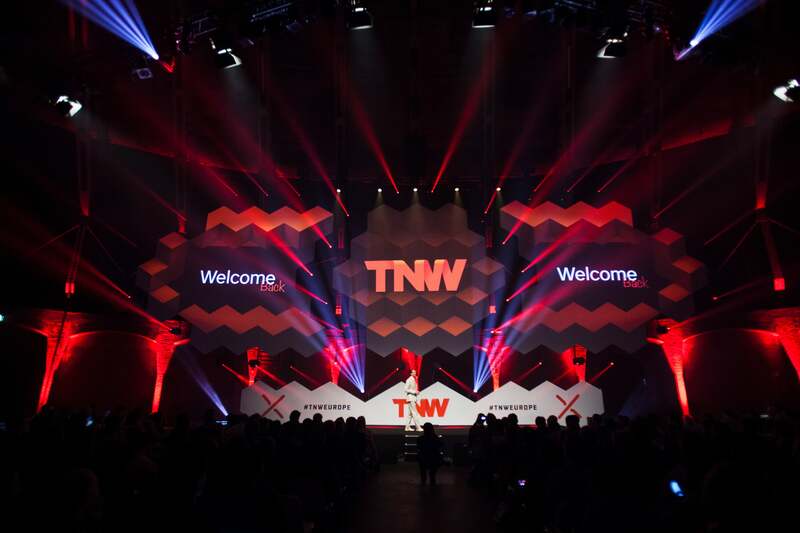 Image credit: The Next Web. A similar ethic is being used to develop de Laive’s newest offering, index.co, a platform that essentially scours the Web for public information about companies around the world, and then turns that into structured data that can then be provided to users. Customers for this type of information can range from journalists wanting information about a particular tech upstart, or investors trying to do their due diligence on companies they have an eye on. The site had its public beta version launch in June last year, and de Laive said that since then, the site has racked up about 18,000 users. “It’s actually doing really well,” he said. “I think we can grow faster, but what about it is really working for us is that people who are using it are really enthusiasts of it.” To its credit, it does seem that index.co is off to a good start- its homepage shows Uber’s Developer Experience Lead Chris Messina (perhaps better known as the inventor of the hashtag) and Product- Hunt’s Community Manager Emily Hodgins offering testimonials for the product, while companies like Google, Microsoft, Amazon, IBM, SAP and more already have their pages on the platform. While all of this is happening, de Laive and his team are also pushing ahead with the development of their tech hub, TQ, in Amsterdam- The Next Web has partnered with Google for Entrepreneurs for this venture, with the physical space set to be spread over 6000 sq. m. in the heart of the city. With all that’s going on at The Next Web enterprise, it’s safe to say that de Laive and his team presently have their hands quite full with things to do. For his part, in the short term at least, de Laive is hoping to have all the four pillars of The Next Web reinforce and support each other, as the way they are built right now does allow for these kind of collaborations to happen- the events arm could help the media wing, the media wing could help feed the intelligence, and so forth. “The main thing is to make these integrations better,” de Laive said. “I think that is actually already working quite well, but we can do more; we can do a lot more.” With The Next Web’s focus continuing to be on catering to Generation T –which is what the company calls its tech savvy audience interested in all things technology- de Laive and his team seem set to stay ahead in the innovation game.